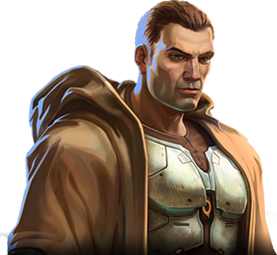 SWTOR Website wrote: Today we are announcing that the Pre-Launch Guild Program for Star Wars™: The Old Republic™ has come to an end. Guilds that have met the prerequisite of having four members redeem their Pre-Order Codes at our Code Redemption Center are now locked for transfer into the game in time for our December 20th launch. I'm guessing we all get an e-mail, assuming you are joined in the TRF guild on the SWTOR website. I'll post here again as soon as I find any futher information on which server we will be assigned to.